Extend your seeding and growing season with this walk-in green house from Outsunny. The greenhouse allows a head start for growing your plants helping them survive abuse from various seasons. 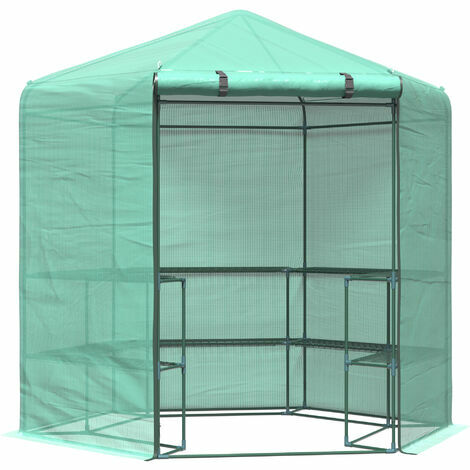 The steel frame is durable, maintenance fee and rust-resistant allowing peace of mind and concentrate on your plants. The screen ventilation helps air allowing and reduce internal temperature on warm days. Very happy with my greenhouse.